BCDB Rating: 4.4/5 Stars from 13 users. This page has been viewed 41 times this month, and 6831 times total. Cartoon Characters: Madison (Diatryma Girl), Scratte, Glypto Boy, Aardvark Mom, Adult Molehog Male, Gazelle, Molehog Mom, Shovelmouth Mom, Beaver Girl, Ellie, Diego, Aardvark Girl, Sid, Aardvark Boy, Start Mom, Diatryma Mom, Eddie, Buck, Little Johnny (Aardvark Kid), Ronald (Shovelmouth Boy), Manny, Dinosaur Babies, Flightless Bird, Crash, Bird, Scrat, Pudgy Beaver Mom, Molehog Girls, Beaver Kids. Directed By Carlos Saldanha, Michael Thurmeier. Produced By John C. Donkin, Lori Forte. Written By Michael Berg, Peter Ackerman, Mike Reiss, Yoni Brenner, Jason Carter Eaton. Awards: Nominee, Annie Award, Music in a Feature Production, John Powell, 2010, Nominee, Annie Award, Voice Acting in a Feature Production, John Leguizamo, Voice of Sid, 2010. Originally Released on June 21, 2009. "Ice Age 3" and "Ice Age III." You can watch this cartoon today on your computer. 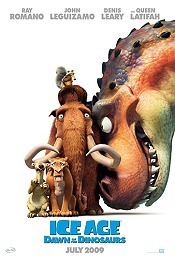 Just click below to start viewing "Ice Age: Dawn Of The Dinosaurs" online now. Do you have anything to add to this page? 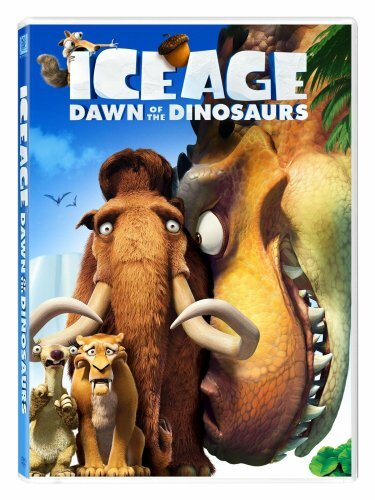 Have we made any mistakes... or do you have any additional information about Ice Age: Dawn Of The Dinosaurs? If so, we would love to hear from you. Please send us a quick note with your additions or corrections to this page, and we will make the corrections as soon as possible! Do you love Ice Age: Dawn Of The Dinosaurs, or do you think it is the worst cartoon ever? Let us know what you think! Surely you have an opinion... so share what you think. Take a minute and post your own comments about this cartoon here. Ice Age: Dawn Of The Dinosaurs by Big Cartoon DataBase is licensed under a Creative Commons Attribution-NonCommercial-ShareAlike 4.0 International License.